The Asahi tweet discussed on the podcast. Interlude music in DreamPod 29 is from Cosmic Smash. You can find info on the VMU version of Flappy Bird here, the Greedy Goblin Con charity event article is here, and the Stone Age Gamer story here. Also, you can find the [TERMINAL] story here; and the exposé on the brand new Dreamcast shooter (as yet unnamed) is here. As ever - if you like what you hear, please consider leaving us a review on iTunes. Thanks for mentioning [TERMINAL] on the DreamPod. I was listening to this wile working on the server-side code. I agree that the game is absolutely primitive looking, however, I have only been working on it for a few months =P. Before going all-in on the client-side networking code, I'm going to clean up a few things. The game is still looking at mid-April for getting clients moving around in the level. Unfortunately, the domain name for the game won't go live until mid-May so I'll be using a hard-coded IP address for the server for the time being. I'm looking forward to PH3NOM's game. 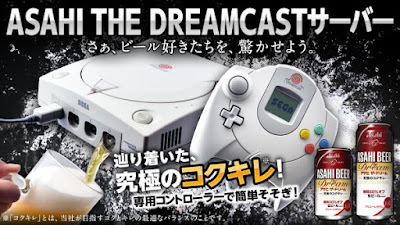 More 3D homebrew games on the Dreamcast would be nice =D.